You can even select Custom Wording to be placed within the sides of the graphic area as shown. Simply enter the Custom Wording of your choice (up to eight  letters/digits/spaces) and we'll make it happen! 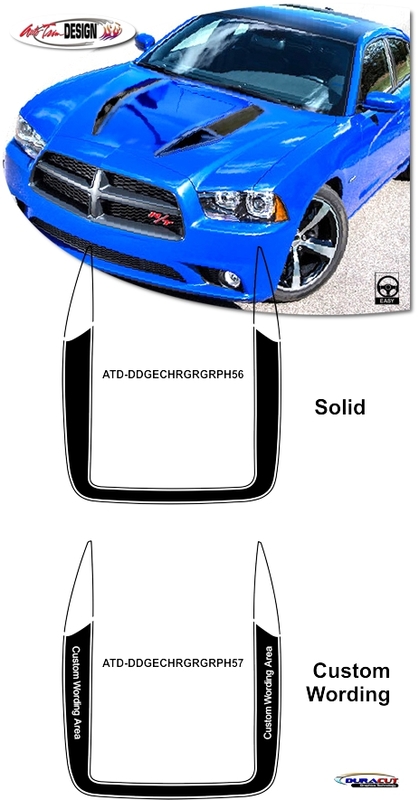 This kit is specifically made for the BMC Extreme Customs #BMC-11CHRGRRRH Hood that fits the '11-Current Dodge Charger and will not fit any other vehicle.